They're designed by the same person behind 'Tron: Legacy's' lightcycles. The first driverless racing series (dubbed Roborace) might make you feel like you're watching a sci-fi flick. Not only because you'll be witnessing AI-controlled vehicles speeding on the race track with no human drivers, but also because the car contenders will use looks like it belongs in a movie set. 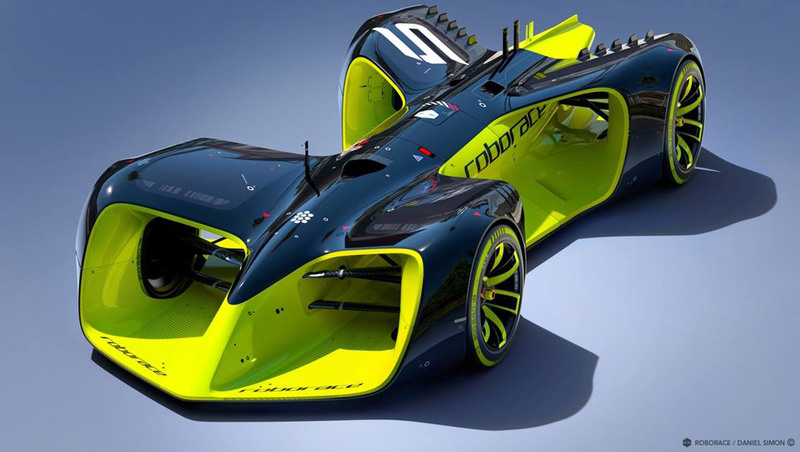 See, Roborace's organizers commissioned Daniel Simon to design its official car. And Simon is also the designer behind the lightcycles in Tron: Legacy, Oblivion's drones and spaceships, as well as Captain America's Hydra vehicles. He said "beauty was very high" on their agenda, since Roborace aims to be "as much about competition as it is entertainment." That said, he did work with engineers and aerodynamicists to come up with a good-looking car that's more than just a movie prop -- one that can actually reach 186mph. You'll be able to watch Robocars (controlled by various teams' self-driving AIs) in action at the 2016-2017 Formula E electric car racing season, starting in September. They'll compete during Formula E's one-hour pre-shows, though by the looks of things, they might be a lot more interesting to watch than the actual main events.